Last year was a major year for big data, especially when more organizations were storing, processing and also extracting value from data in all shapes and sizes. It saw the evolving ways in which companies can find better business value with big data and how improving business intelligence can help transform organization processes and customer experience. In an earlier post, we have seen, Big Data Growth & its Mind-blowing Fact. Next to it, in this post, we will see Big Data future trends for a new year. And now it looks as if 2017 will be seeing more high-profile companies resorting to big data and the internet of things (IoT). A system that supports large quantities of both structured and unstructured data will continue to rise. Let’s take a peak of the popular big data trends that we’ll gladly see in 2017. Big data has phenomenally expanded to analyze data more quickly and obtain valuable insight. Organizations must transform terabytes of dark data into useful data. As of right now, big data has yet to yield the substantial results that companies are looking for to develop new insights for new, innovative offering to be able to derive a competitive edge. There are big reasons why everyone is moving to cloud computing in industry. You can read Advantages of Cloud Computing and you will come to know the importance of cloud computing in the computer science world. Small and large companies are now looking to move all of their applications out of data centers and into the digital cloud. It especially holds true for big data and analytics as it does for traditional transaction processing systems. Companies also want to spend less on data centers and have greater flexibility for plugging into and out of solutions. To this day, businesses are continuously looking to derive value from all data. In other words, large organizations that move, sell, make and support physical things are plugging sensors attached to their ‘things’into the internet. Companies will have to adopt technologies to map with IoT data. All of this presents an array of new challenges and opportunities in the fields of standards, data governance, health and safety, security and supply and chain among others. It is a big reason behind Big Data future trends. 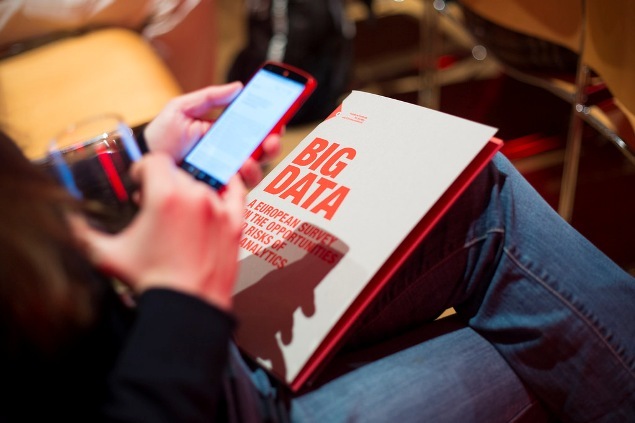 Why is Big Data Future Trending? SQL serves as a conduit for business users who wish to use Hadoop data for faster, more repeatable KPI dashboards and exploratory analysis. Deep learning is a set of machine-learning techniques based on neural networking. Even though it is still work-in-progress, it shows immense potential for solving business problems. It allows computers to be able to identify items of interest in enormous amounts of unstructured and binary data. It even allows computers to deduce relationships without the requirement of accurate models for programming instructions. Big data will be used to improve CX when it shifts from legacy to vendor systems, during M&A, along with core system upgrades. Companies will be analyzing data with the self-service flexibility to gather insights about top trends quickly. It will give quick competitive insight into new customer acquisition growth opportunities. Companies can also use big data to understand their customers better so they can improve top line revenue through cross-selling/up-selling and also remove the risk of lost revenue by eliminating churn. More big data are moving to data repositories and warehouses. Users will be able to use the same data but will not necessarily have the ability to access it all. Security for data access permissions will be strengthened. It makes sure that every data user has the right access permissions in place. It will lead to creation and revision of data access permissions policies as well as implement technology that monitors and detects potential data exfiltration by users. You may like to read: 7 Of The World Most Influential Computer Programmers in the history. This is what you will see as Big Data future trends in this year. Do you have any thoughts about it? Do you have any other topic as you think it as a future trend in Big Data? Feel free to comment below. You are absolutely correct about these trends. However, we still are unable to predict when their usage will be vanished totally.